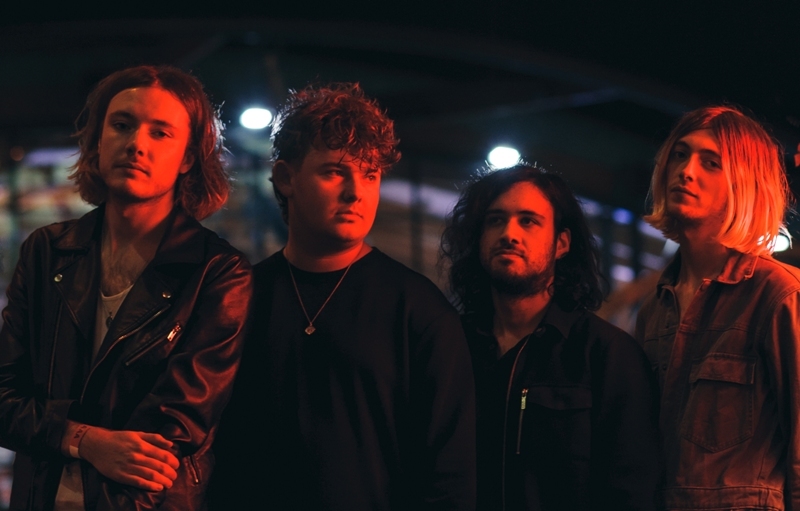 Indie pop quartet Deep.Sleep release new single Drive today, with the new track delivering a strong message on mental health in the music business. The band told us a little bit more and talked about what inspired the new release. When we were writing Drive, the film of the same name starring Ryan Gosling, played a massive part in it. I loved the way that in that scene, where they go for a drive, the baseline in ‘a real hero’ by College & Electric Youth almost set’s the pace of the scene. For the same reason, I wanted Drive to have a real thump to it, something that gave some sort of soundtrack to the way that my heart beats between lamp posts when I’m driving down the A19, and as a result, that’s where I found myself writing the majority of the song. The demo process itself cost me an absolute fortune in petrol alone because every time I thought I was finished, I’d take it into the car and listen to it in a playlist of songs I liked to drive to anyway. Every time I thought it was finished I proved myself wrong. I’d probably go so far as to say this could be one of the only songs I could never decide on whether it was finished, or if it was even a song at all. I found myself struggling to differentiate between this almost ‘diary entry dialogue’ and something I wanted to put out into the real world. The spoken word bit in particular was, and still remains difficult to perform and when we were in the studio, Conor and I found ourselves taking a step back every now and then, realising that this wasn’t a gimmick that we were putting into a song because nobody around us was doing it at the time, but rather a real reflection on who we are and what we believe in. It’s a real social commentary on how we see the world at the moment and how everything we consume, in order to create as artists ourselves, is ultimately at risk of going under due to social pressure and the expectations that society can have on an individual, never mind a massive rockstar like Mac Miller or Lil Peep. That’s why we wanted to keep it short, we wanted to deliver a message in the same amount of time that the messages that we’ve received as consumers have almost been forgotten. We were terrified of people thinking we were capitalising on the idea of mental health, and I think we still are to a point, which is nuts. We’ve became so used to mental health being somewhat of a taboo in entertainment and the mainstream media that we were scared to talk about it in a song. I’m glad we have though, because we’re so keen to get the message out about it, but at the same time, you can’t say ‘don’t do drugs’ anymore because that makes it rock and roll to do so, instead, I think it’s about raising awareness of the consequences of substituting serotonin with something that gives off the same effect, but on a short term basis. That’s what it really boils down to. It’s about the fact that when it comes to mental health, it’s never too late until it’s too late to get help.